One Picture Book #97: Las Trocas Angelinas, con sus Mercancía. Nazraeli Press, Paso Robles, USA, 2017. In English. 16 pp., 6 fou- color illustrations, 5½x7¼". 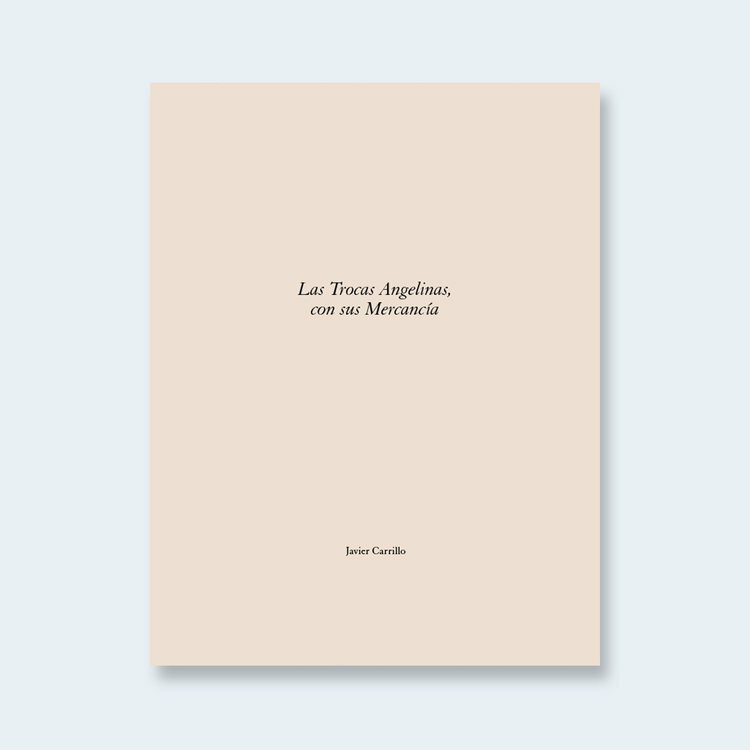 For such a small book, Las Trocas Angelinas, con sus Mercancía (The Angelinos' Trucks with their Merchandise) speaks volumes. Javier Carrillo created a suite of 6 “suicide prints” — a type of linoleum print considered to be the single most difficult form of multicolor printing — each featuring what is a common sight across this country and many others: a small, well-worn pickup truck filled to the breaking point with tools or merchandise. 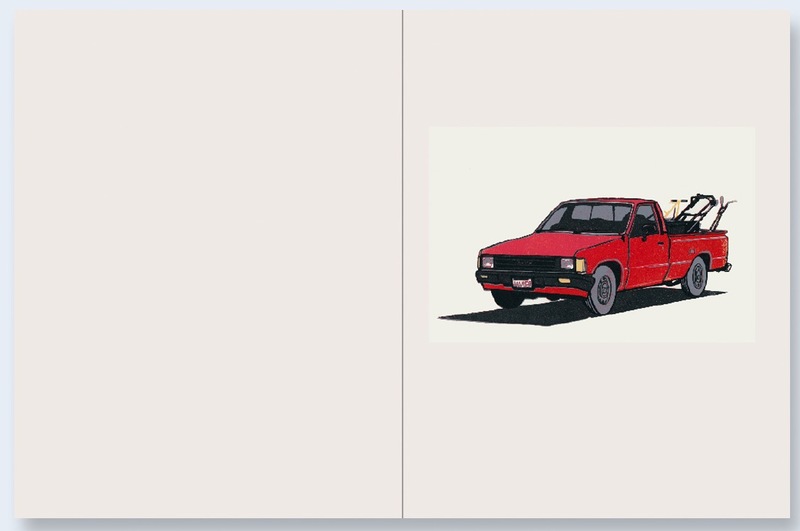 In Carrillo’s prints, the pickup trucks with their humble yet priceless cargo — used wooden pallets, freshly-picked oranges, lawn mowing equipment — become almost heroic in their stoicism, and one can’t help but draw a comparison between them and the burros that they have replaced. The original, signed photograph included with each copy of the book is one of the snapshots Carrillo made as a “sketch” for his finished studio prints. SIGNED with a Print. Edition size: 500.